I really am not complaining but folks…it is cold outside. January in Minnesota is not for the faint of heart. It is not uncommon for the temperatures to dip way into the negative numbers. When the weather gets cold I crave something warm and tasty for dinner. 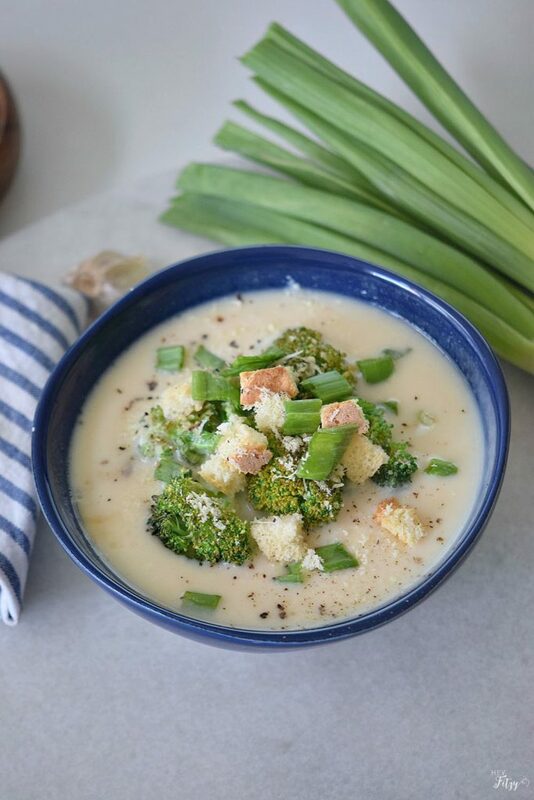 This loaded broccoli cheese soup is just what I need. It is easy to make and perfect for those cold winters nights. Melt the butter in a pot over medium heat. Add the onion, garlic, and ¼ Cup scallions. Saute for 2 minutes. 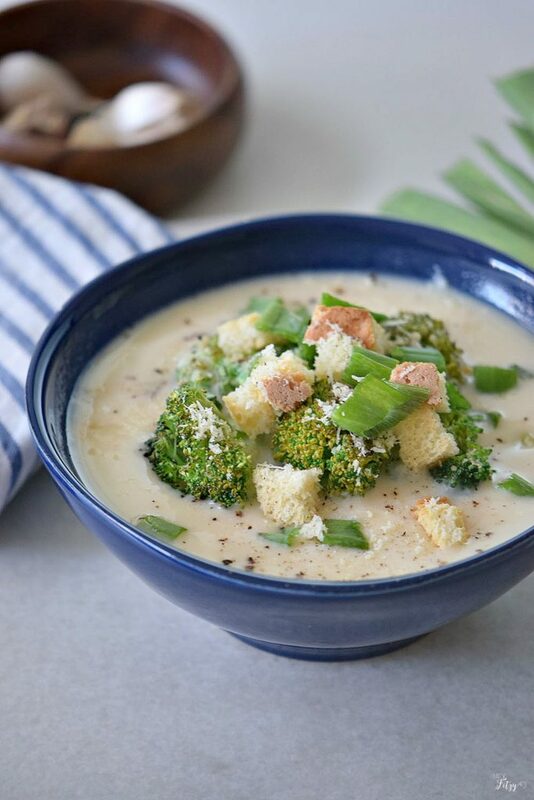 Stir in the flour, half and half, vegetable broth, broccoli florets, salt, and pepper; mix well and simmer for 15 minutes. Beat in the cheddar cheese, stir and cook for 2 minutes. (If needed add more broth). 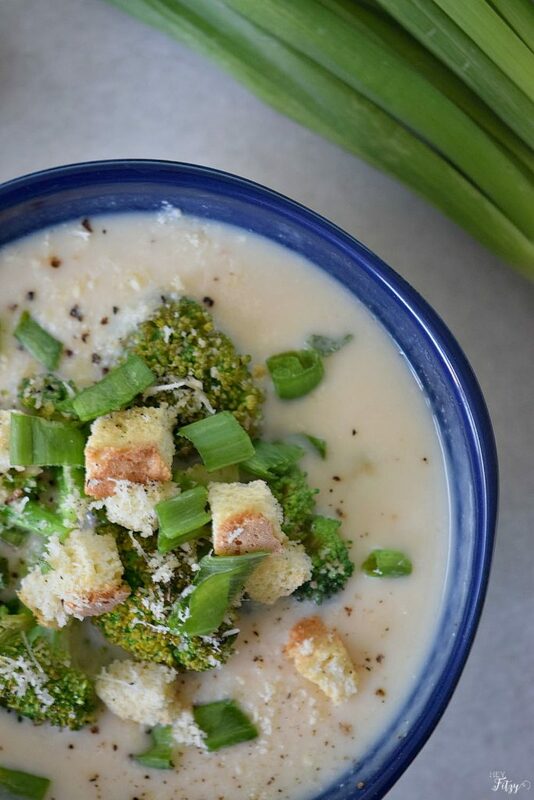 Divide into bowls, garnish with the remaining scallions, croutons, and parmesan cheese. Incorporate some mushrooms into the soup. Add mushrooms for a little twist! What is your favorite type of soup on a cold winters day? I can't imagine how cold it must be out there right now. We only ever get to single digits and that's enough to make me want to hibernate! Love that your recipe includes real cheese and not a certain waxy orange kind! Hi Leslie, It is not uncommon to be in the negatives for extended periods of time. Negative 42 is about as low as I have experienced. Burrrrrr!!! !